A good complete example of the type, Crete, 19th century. 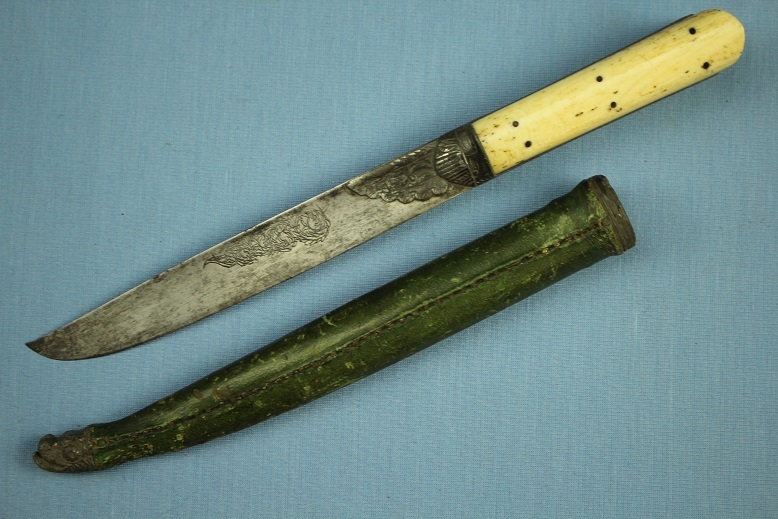 This example 31.5cms long in its sheath, 26.5cms out with a 17cms blade including the bolster. The knife is very well made. 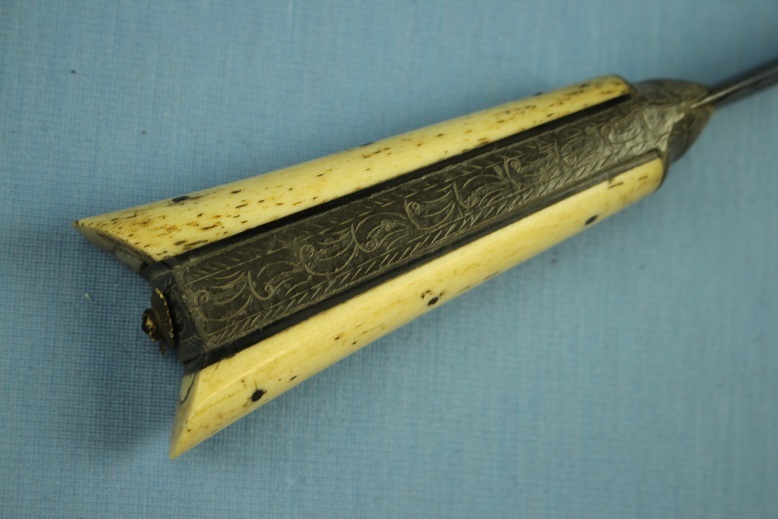 The grip slabs are bone over black horn liners. 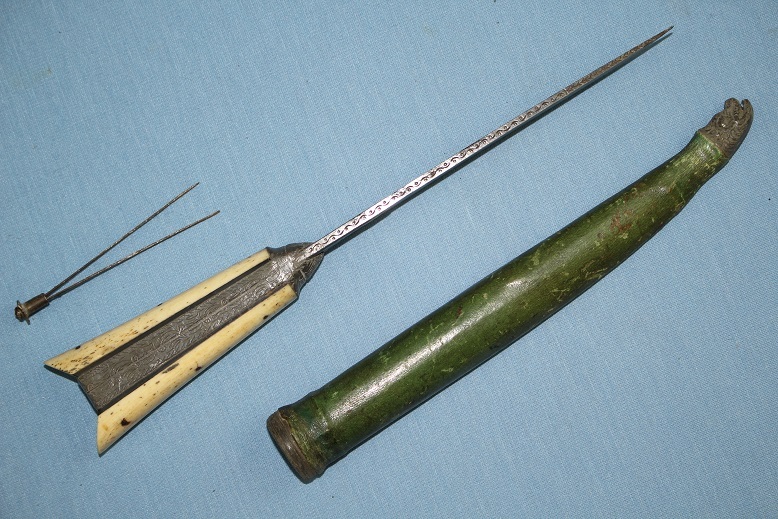 This is encased by an engraved silver grip strap that still retains its tweezers in the end cap. The silvered bolsters are the classic clam shell shape and support the blade and secure the grip strap at this point. 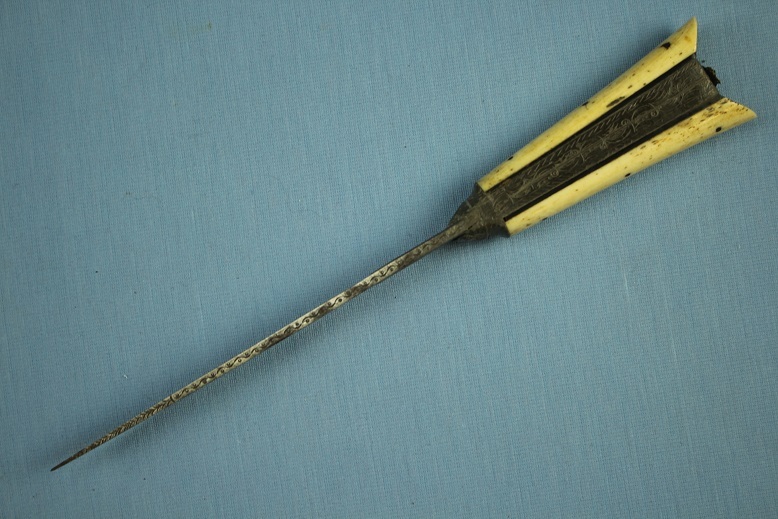 The blade is hollow ground and displays a drop point and raised tip. 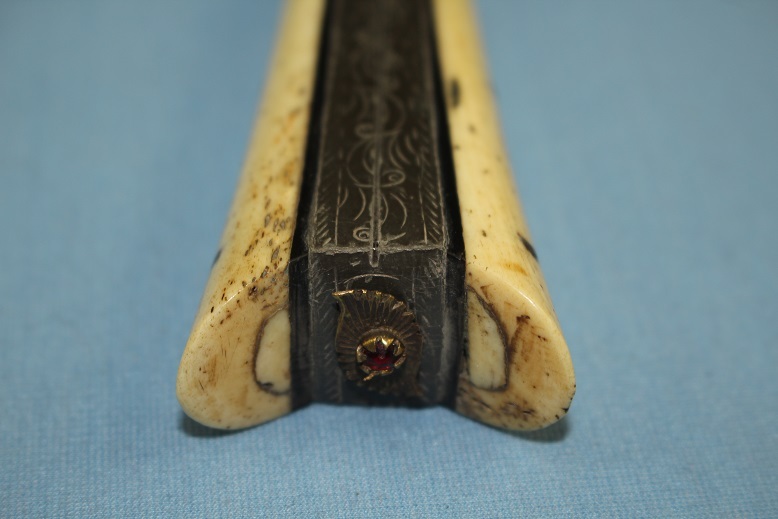 It's spine is fully engraved and it's edge sharp. 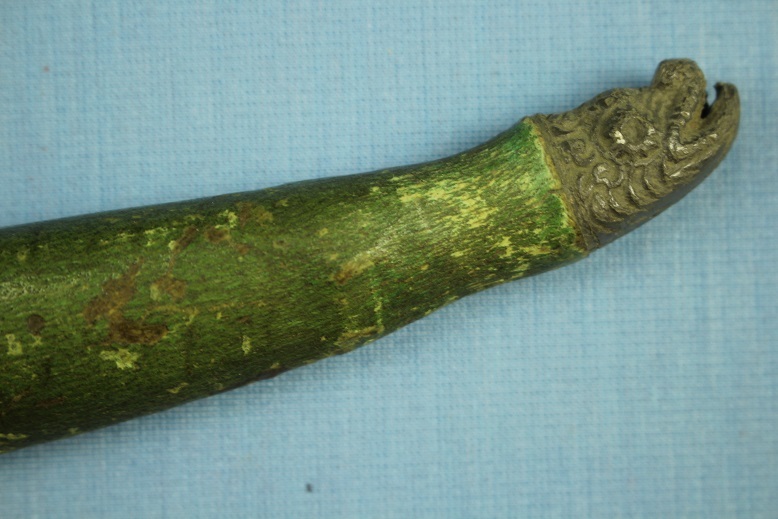 The sheath is a fine green leather over a timber core. The ends are capped with silvered fittings, the throat fitting being a simple decorative ring and the end, a mythological sea creature. 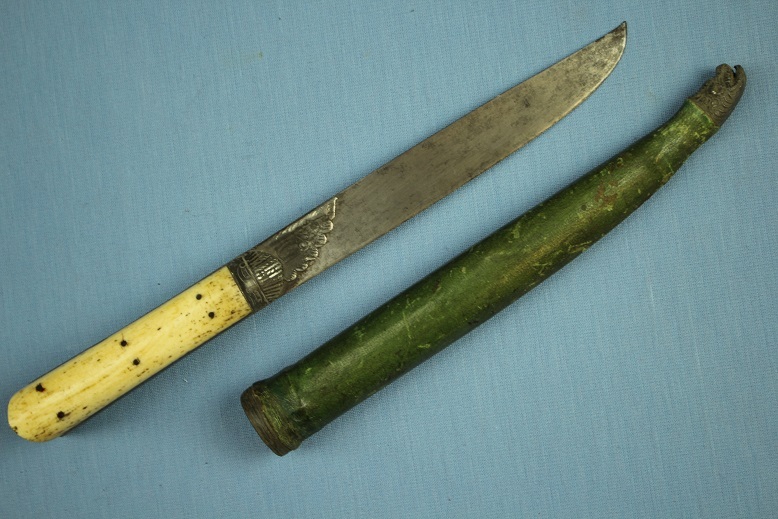 A good complete example of a knife that is becoming harder to find in any condition.